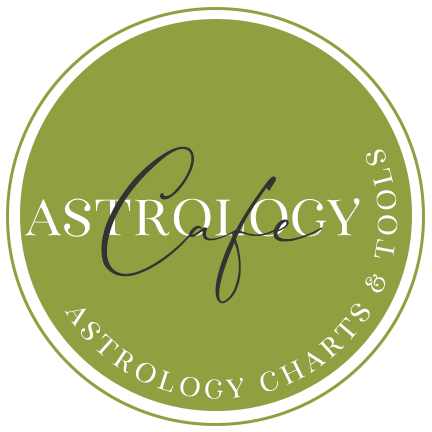 Cafe Astrology’s mega Astrology Trends Calendar contains daily overviews as well as dates, times, and descriptions of New Moons and Full Moons, Eclipses, Planetary Stations (retrograde and direct dates), Planetary Ingresses (planets and other bodies changing signs), and more. The calendar is displayed below in the yearly list accordion format. For the Monthly Calendar Page and Monthly List formats that include daily overviews, see Astrology Calendars. Take full advantage of the FILTERS to sort information. 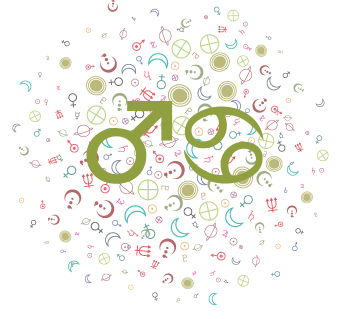 You can sort events by the following categories: lunations, planetary stations, planetary ingresses, and aspects/transits. The FILTER EVENTS option can be useful for showing only the lunations (New and Full Moons) during the year, for example. 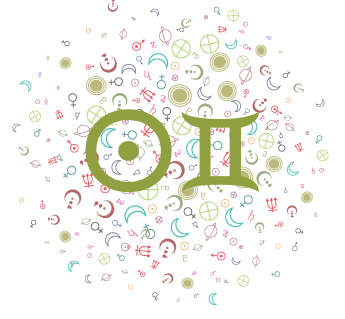 See also Monthly Calendars page and Astrology Calendars page for a closer look at daily trends as well. You can scroll through events and FILTER by event type (example, Lunations only). After clicking on a date in the calendar page below, the details will load directly under the calendar. Mars is in Cancer from May 15-July 1 2019. We pursue our interests ardently, but we avoid a direct approach to going after we want. As well, our goals and plans are subject to mood swings and vacillations. We are defensive rather than overtly aggressive. Much of what we do depends on our mood of the moment. 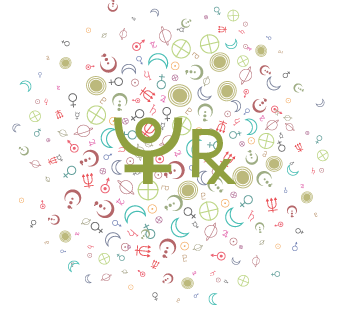 The Moon is Full in Scorpio on May 18, 2019, at 5:12 PM EDT. 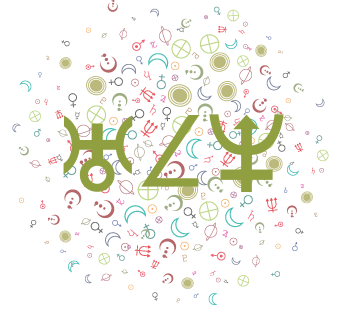 The Full Moon in Scorpio marks the beginning of a new cycle. 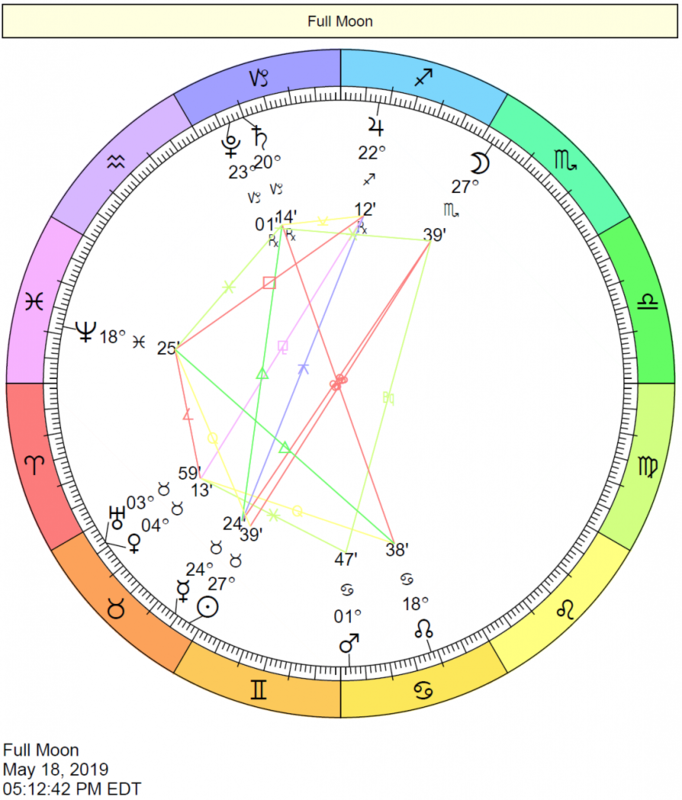 This phase of the Moon occurs at 27 degrees and 39 minutes of Scorpio, affecting people born with personal planets and points at approximately 24 to 30 degrees of the Fixed signs (Taurus, Leo, Scorpio, and Aquarius) and 0 to 2 degrees of the Mutable signs (Gemini, Virgo, Sagittarius, and Pisces) most significantly. 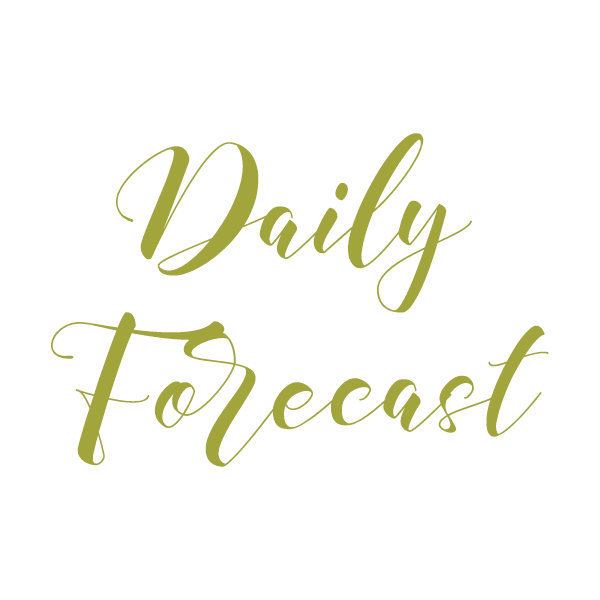 Sun is in Gemini from May 21-June 21, 2019. Knowledge and diversity motivate us with the Sun in Gemini. We are more sociable, intellectual, and insatiably curious under this influence. We tend to scatter our energies as a result of this curiosity and awareness of all of our options. We are more communicative and versatile, but we can also be unreliable. 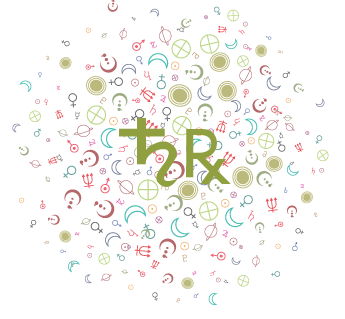 Mercury is in Gemini from May 21-June 4. 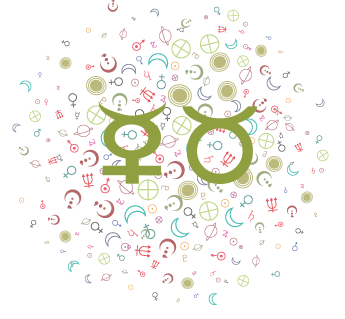 When Mercury is in Gemini, we are especially communicative, curious, and sociable. 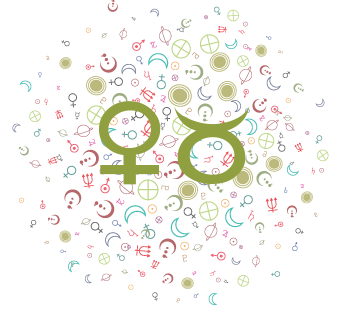 Mercury feels right at home in Gemini, one of the signs that it rules. We tend to take more pleasure in gaining a superficial knowledge of many subjects rather than dig deep into any one topic. We are especially astute when it comes to arguing or making a point. We are attracted to wordplays, puns, and negotiations. We are easily distracted.